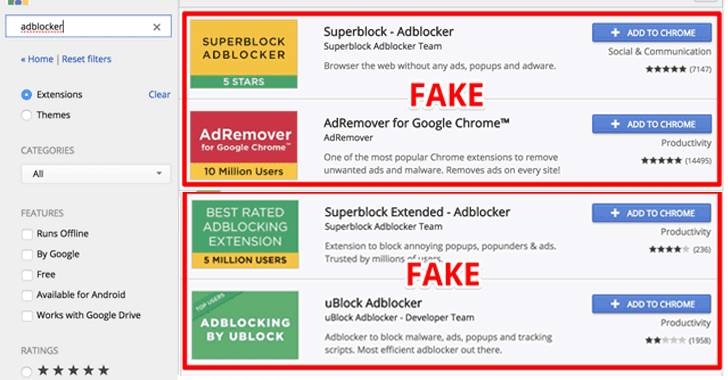 Discovered by Andrey Meshkov, co-founder of Adguard, these five malicious extensions are copycat versions of some legitimate, well-known Ad Blockers. Creators of these extensions also used popular keywords in their names and descriptions to rank top in the search results, increasing the possibility of getting more users to download them. "All the extensions I've highlighted are simple rip-offs with a few lines of code and some analytics code added by the authors," Meshkov says. The malicious extension then receives commands from the remote server, which are executed in the extension 'background page' and can change your browser's behavior in any way. To avoid detection, these commands send by the remote server are hidden inside a harmless-looking image. "These commands are scripts which are then executed in the privileged context (extension's background page) and can change your browser behavior in any way," Meshkov says. "Basically, this is a botnet composed of browsers infected with the fake Adblock extensions," Meshkov says. "The browser will do whatever the command center server owner orders it to do." 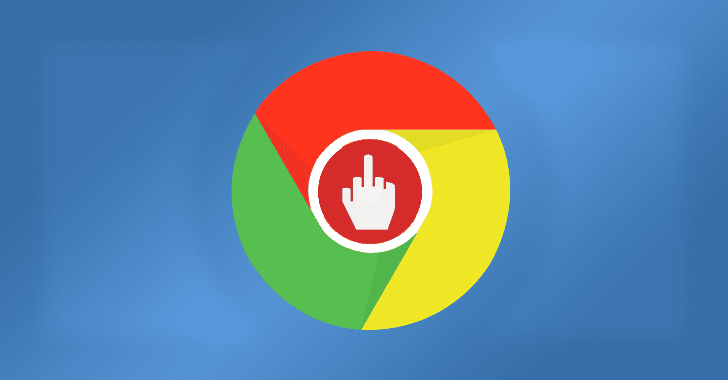 The researcher also analyzed other extensions on the Chrome Store and found four more extensions using similar tactics. Since browser extension takes permission to access to all the web pages you visit, it can do practically anything. So, you are advised to install as few extensions as possible and only from companies you trust.